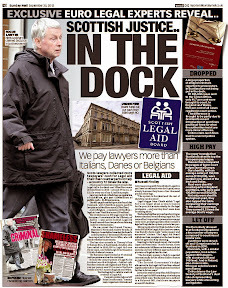 The £220K toilet roll - Court documents are full of errors,omissions say clients, solicitors. 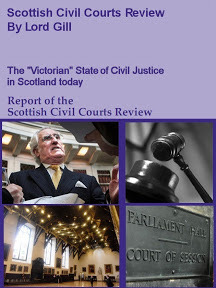 INTERLOCUTORS from thousands of cases heard each year in Scotland’s “Victorian” courts may not worth the paper they are printed on due to hundreds of errors, incorrect references, inaccurate points of law, and what in some instances appear to be intentional omissions of what the judge actually said in court. 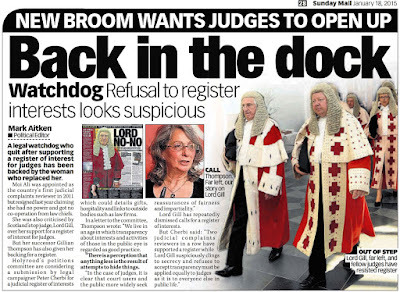 The situation is becoming so bad, some solicitors have dubbed interlocutors as “toilet roll”, even though the documents are supposed to be scrutinised and signed by Scottish judges earning up to £220K a year. 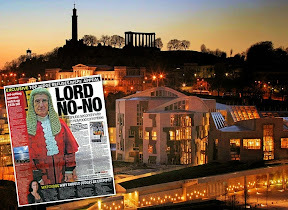 And, when mistakes in interlocutors are pointed out by clients and their solicitors, angry Scottish Court Service staff apparently more interested in stocking up on hospitality, gifts chocolate & champagne than doing their job, routinely refuse to correct their own errors, claiming that documents cannot be changed as they reflected exactly what happened in court - even when it is clear the official account of proceedings contains elements of a fairy tale. As court users will be well aware, an interlocutor is the document that officially records the final decision of a court. Interlocutors are usually prepared by the sheriff clerk and handed on to the sheriff for their scrutiny and final signature. 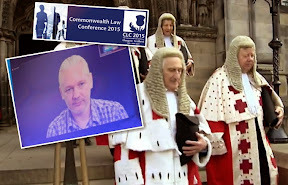 A copy of the signed interlocutor (the original being kept at the court as part of the process) is then sent out by court staff to litigants or their legal representatives, awarding the legal authority to put the decision by the court into action. 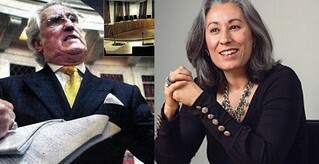 However, if the content of an interlocutor is incorrect, the lives of litigants can easily be turned upside down along with their relationship with their legal representatives, due to mistakes, errors or deliberate omissions of a sheriff clerk who failed to produce a true and accurate account of what the judge said or decided in court. And due to the attitude or motives of those who prepare the interlocutors, it is often impossible to have any mistakes rectified. 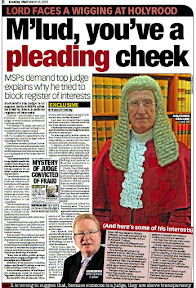 While members of the judiciary are expected to check the interlocutor for its correctness and accuracy, the frequency of mistakes and omissions contained in interlocutors have led to rising numbers of litigants and solicitors questioning whether the sheriff or judge has ever seen the interlocutor, or had time to check it, even though their signature appears on the document. 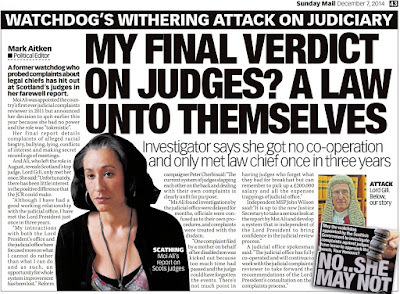 In some cases, copies of interlocutors which have been sent out to party litigants, appear to be copies of a copy, with, in the words of one solicitor “a photocopied signature of a sheriff placed at absurd angles to the remainder of the document”. 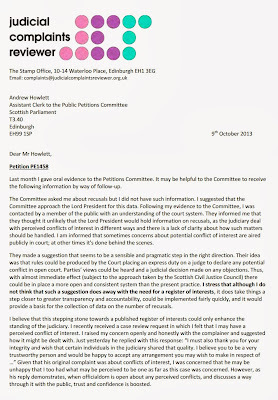 In a recent case brought to the attention of Diary of Injustice by member of the legal profession who was contacted by a party litigant, an apparent ink stain error made by a sheriff during his signing of an interlocutor was accurately repeated in interlocutors issued in different cases on different dates, sent out to several law firms operating in the same part of Scotland, along with one party litigant. 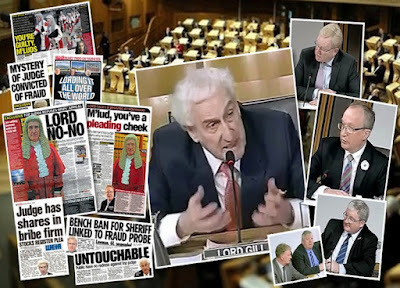 All the interlocutors apparently signed with the same sheriff’s signature along with the same ink stain error, contained numerous & repetitive mistakes which were only corrected after four solicitors simultaneously contacted the sheriff clerk and made him aware they had “evidence to suggest the signatures were not authentic”. 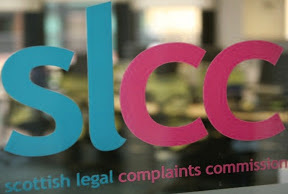 From enquiries made on this matter by one of the solicitors concerned, it appears the Scottish Court Service were not made aware of this incident by the sheriff clerk in question. 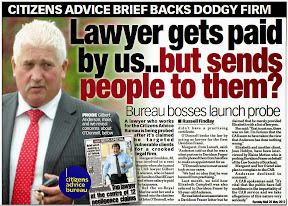 Unsurprisingly, the frequency of mistakes, incorrect references & omissions contained court in interlocutors appear to increase when cases involving disputes between clients and their law firms, damages & injury claims against large insurers, big business, medical negligence claims & cases involving public authorities. And, in many cases were sheriff clerks have been contacted about the mistakes, they have failed to tell their superiors a complaint has even been made about their work. 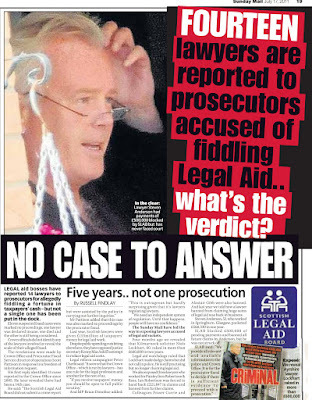 In another case already covered by Diary of Injustice which related to a sequestration of a client by a Perth law firm who left their client standing on the steps of the Court of Session without a lawyer, which in turn contributed to the collapse of the client’s medical injury claim, similar questions were raised as to the authenticity of interlocutors originating from Perth Sheriff Court. 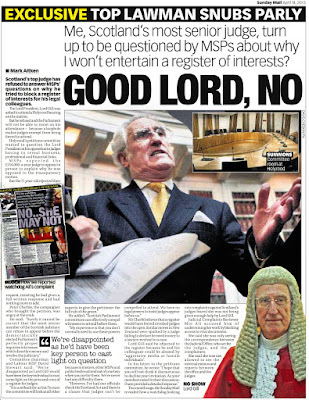 Speaking to Diary of Injustice today, a client who did not wish to be named, alleged he had been threatened by a sheriff clerk after informing him the interlocutor produced by the court “looked like a forgery”. 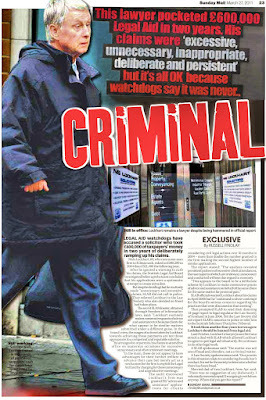 and contained inaccurate details of what had actually been said in court along with references to “created evidence”. 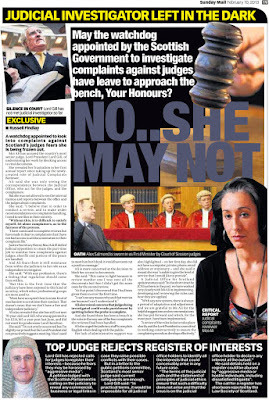 If readers have similar experiences of mistakes, omissions, perhaps deliberate errors in interlocutors and feel questions regarding the authenticity of interlocutors issued by Scottish Courts must be raised, media attention to this problem may help. 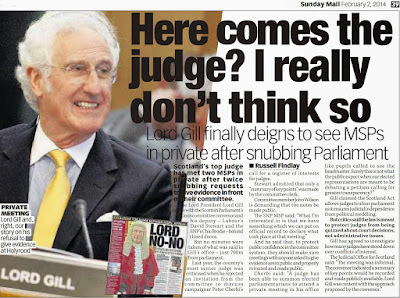 Judges don't declare their gifts, interests while court staff do, sort of. 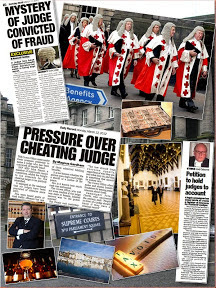 SCOTLAND’S COURTS are little more than a haven of questionable hospitality from law firms, secret favours & errands run by Scottish Court Service staff for lawyers, gift giving and private profiteering by senior officers of the court who are paid large sums of public money to keep the wheels of Scotland’s creaky “Victorian” courts system turning at a pace most now regard as glacial. 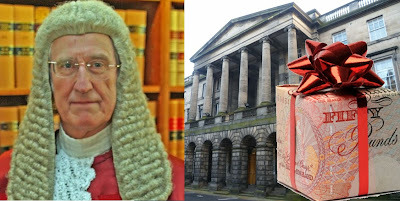 The information comes to light in disclosures by the Scottish Court Service in response to Freedom of Information requests after it emerged that ordinary court service staff are required to declare the presents they receive from solicitors & others, while judges are not. 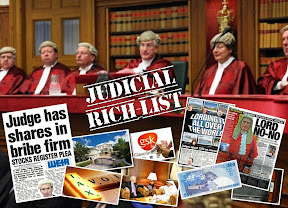 Scotland’s judiciary have so far resisted calls to declare hospitality and their wealth, interests & links to the legal and other professions in a Register of Judicial Interests as called for in Petition PE1458: Register of Interests for members of Scotland's judiciary. 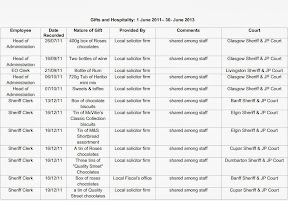 Extract of Register of Hospitality 2013 Scottish Courts Service. 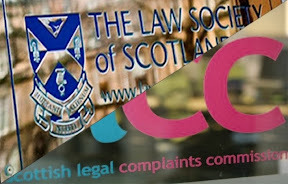 Disclosures from the Scottish Court Service in documents reveal that in the last five years, over 500 instances of gifts and hospitality received by publicly funded SCS were declared under the rules. 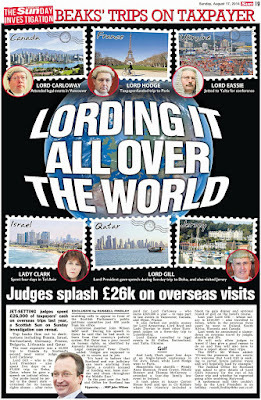 Gifts such as expensive champagne, wines, chocolates and dinner invitations were given by lawyers and others to Sheriff Clerks and SCS staff, along with invitations to the Royal Garden Party, paid-for trips in planes, tickets to football matches and a host of other goods, services & gifts many court users may well come to question in terms of how much this gift giving by lawyers dents the supposed impartiality of court staff. 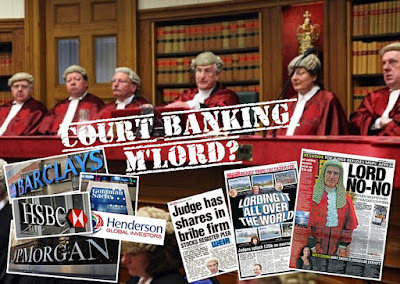 It has also emerged in the media that in some cases, lawyers have actually paid for criminal fines accrued by court staff, leading some to question their reasons for doing so and what secret benefits this brought to the legal profession and court staff involved. 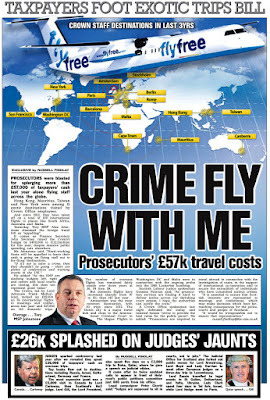 Privately, legal sources have acknowledged to Diary of Injustice that it is suspected a lot of gifts have not been declared by SCS staff, and that much of the gift giving may well be seen as thanks for favours done in court for law firms, particularly those who are pursuing clients for unpaid fees. 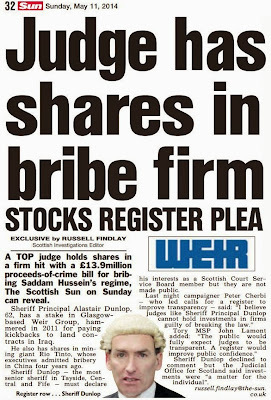 While the recommendation to prevent Sheriff Clerks from profiteering privately was made by Ms Thomson back in 2010, it appears not to have been heeded by all, as several cases brought to the attention of Diary of Injustice over the past two years have revealed financial relationships between court staff and law firms which have emerged through investigation of cases where solicitors were attempting to pursue clients for questionable fee demands, some of which have led to years of suffering and personal bankruptcy for innocent members of the public. 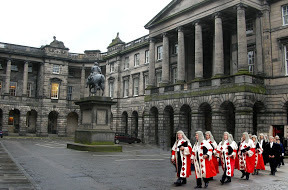 Curiously, while Scotland’s Lord President Lord Gill has continued to argue the setting up of Registers of Interest (and hospitality) for the judiciary would cause undue harm to judges, even dent the possibility of recruiting to the bench, it is the case the staff of the Scottish Court Service who run Lord Gill’s courts have been required to declare their hospitality for a number of years without any of the problems Lord Gill has thrown against a call for a Register of Judicial Interests. 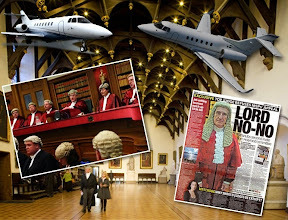 Given we now have one half of the courts system declaring or being seen to declare some of their hospitality and interests, It is therefore clear the same rules must be applied to the judiciary, and even more so, given their position in public life. 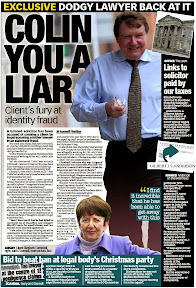 Information Commissioner Rosemary Agnew raises concerns over FOI failures. 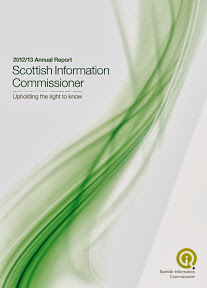 SCOTTISH Public Authorities are failing to respond to Freedom of Information requests on time, says Scotland's Information Commissioner Rosemary Agnew in her 2012-2013 Annual Report published today. 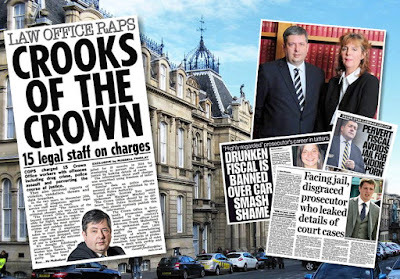 The report reveals a 14% rise in appeals to the Scottish Information Commissioner’s office during the last year with 27% of those cases relating to failures by public authorities to respond to FOI requests. 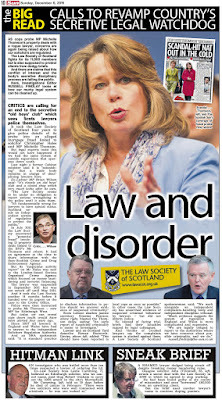 Speaking at the launch of her Annual Report, Commissioner Rosemary Agnew revealed that there was a 14% rise in appeals to her office in 2012/13, and that 27% of those appeals related to a failure by the public authority to respond. 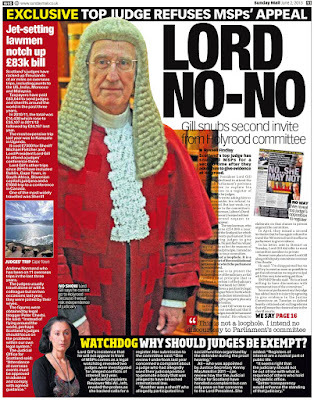 This is the highest proportion of such appeals to date. 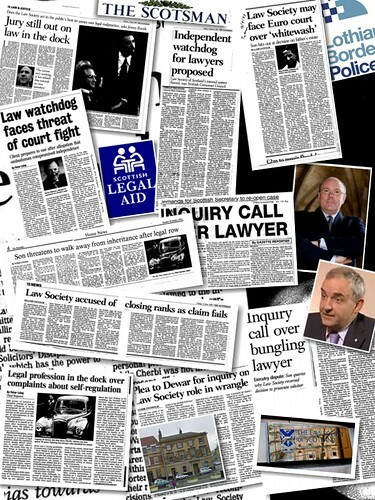 Under Scottish FOI law, public authorities have a legal duty to respond to the requests they receive within 20 working days. 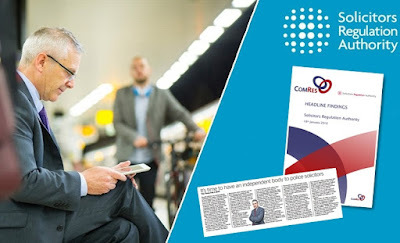 The publication of the report coincides with new research which reveals that only 49% of the Scottish public are confident that they would receive an FOI response within 20 working days, with only 10% stating that they would be "very confident" of a response. 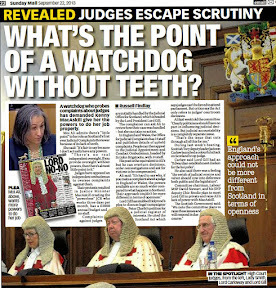 Information Commissioner Rosemary Agnew said: "These findings concern me. Eight years on from the introduction of FOI, we would expect authorities to be more effective at handling requests, not less so. When they don't respond, authorities fail to respect people's legal rights to information: information which can be extremely important to individuals and communities. By contrast, authorities that perform well take a customer focussed approach, respond promptly and engage with requesters. 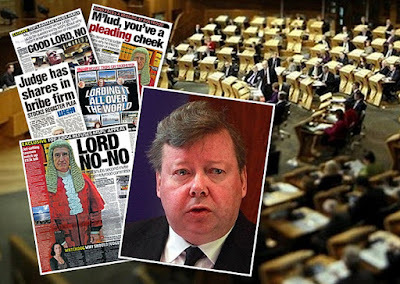 "A failure to respond can also harm public perception of FOI. 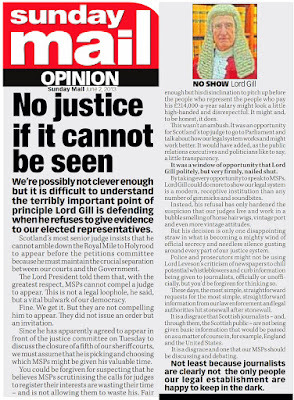 While many FOI requests are answered on time and a lot of information is provided, the research findings reveal that this is certainly not the public's perception. 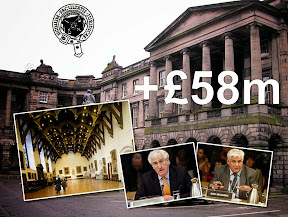 "Scottish public authorities that are falling short should take steps to address their performance as an immediate priority. In doing so, they should also remember that failing to respond doesn't make requests go away, but just creates unnecessary extra work and increases costs. Failure to respond generates complaints, review requests, and appeals to my office, and damages a public authority's reputation. The most efficient option is to get it right first time." 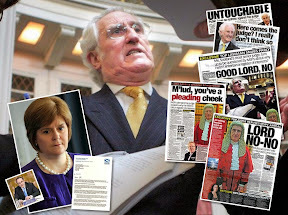 As those who make FOI requests and many in the media will know, some of the most persistent offenders in Scotland are local authorities, Departments of the Scottish Government, NHS Scotland trusts and others all eager to cover up internal scandals, the persisting, endemic jobs for the boys culture, the pernicious abuse of vulnerable individuals and widespread waste of public funds including large, sometimes secret pay-outs to top public officials the details of which only emerge after months of wrangling over the terms of FOI replies, requests for reviews and a possible appeal to the Information Commissioner. 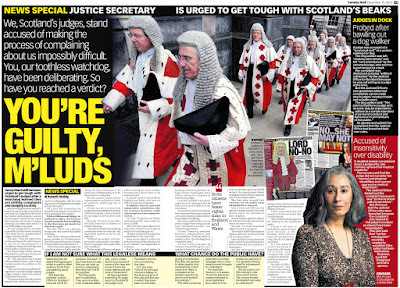 Key public authorities in charge of the justice system are well known to journalists as some of the worst offenders, which include Scotland’s prosecution service the Crown Office & Procurator Fiscal Service (COPFS) who appear to be operating a policy of regular delay in response to FOI requests. 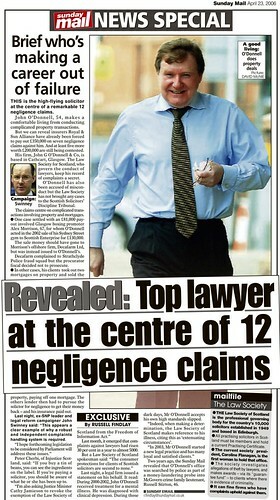 It has been found in many cases brought to the attention of the media that Crown Office staff have persistently engaged in expanding the required time to reply to FOI requests by weeks, even months in some cases, while in others, regular refusals to hand out information have become a staple diet of Lord Advocate Frank Mulholland’s £100million a year Crown Office. 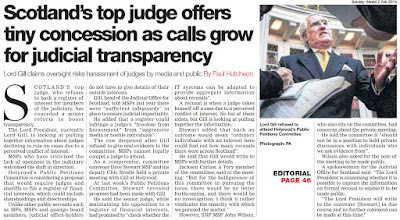 "In 2012 we received over 1,900 FoI requests - the highest number on record - and we are on course to receive even more in 2013. 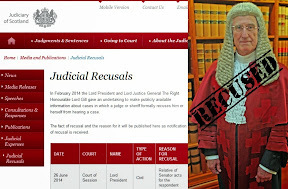 We strive to respond on time to all cases, and the number of technical appeals we receive has decreased since the end of March 2013." She added: "Our commitment to proactive publication and sharing of information with the public is enshrined in legislation." 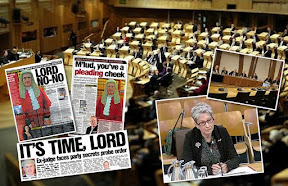 Scottish Information Commissioner Rosemary Agnew has also announced today she is planning to lay a Special Report for the Scottish Parliament exploring such failures in the spring. 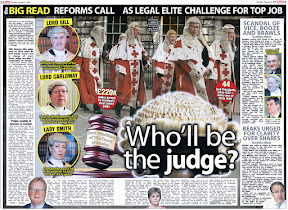 The number of FOI appeals increased by 14% over the last year, to 594 appeals. 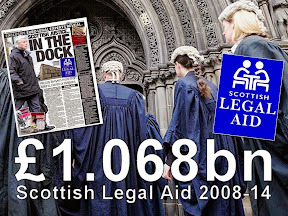 564 cases were closed, a 9% increase on the previous year. 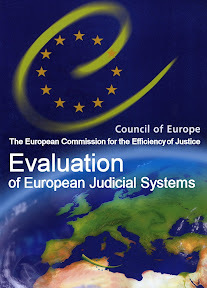 The Commissioner found completely in favour of requesters in 37% of cases and completely in favour of authorities in a further 37%. 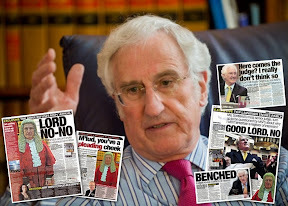 The remainder were partially upheld. 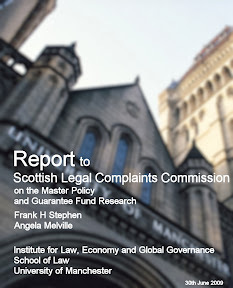 43% of appeals related to local government bodies and 31% related to the Scottish Ministers or the Scottish Parliament. 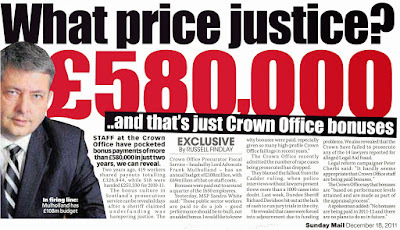 Enquiries to the Commissioner rose by 8% last year. 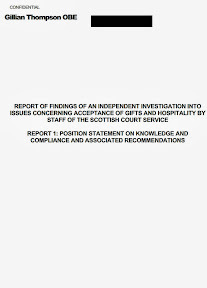 The report also contains examples of how FOI has been used by the Scottish public over the last year, seeking a wide range of information on issues relating to housing, health, transport, education and the environment. 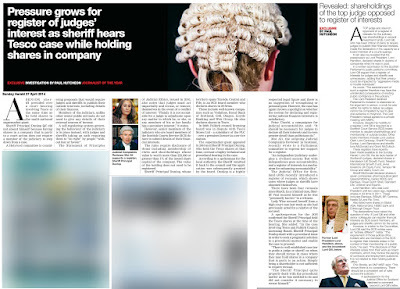 Discussing the rise in FOI appeals, Rosemary Agnew said: "Our case volumes have continued to rise, with a 14% rise over the last year and a 49% increase in the last five years. I'm happy to report that we've been able to manage these increases through a combination of hard work and a considered review of how we conduct our business. As a result, we have closed more cases than ever and reduced the time we take to investigate appeals. 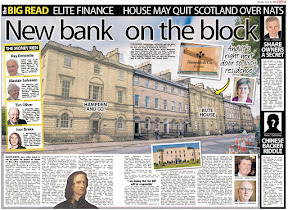 "However, I am concerned about how sustainable this position will be in the longer term. These advances have been achieved against a backdrop of decreasing resources, and if volumes continue to rise, it will pose significant challenges to my ability to enforce FOI effectively." 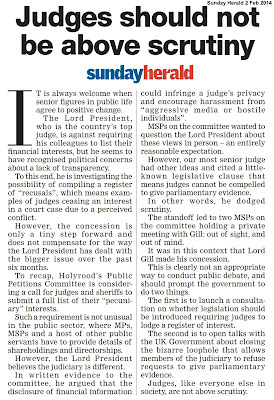 These are appeals made following a public authority's failure to respond with the FOI Act's 20-working day timescale. 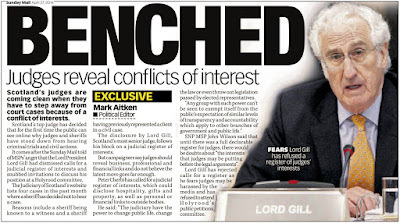 The 2012/13 Technical appeals investigated - by authority reveals that 29% of the appeals investigated by the Commissioner in 2012/13 related to such a failure to respond.